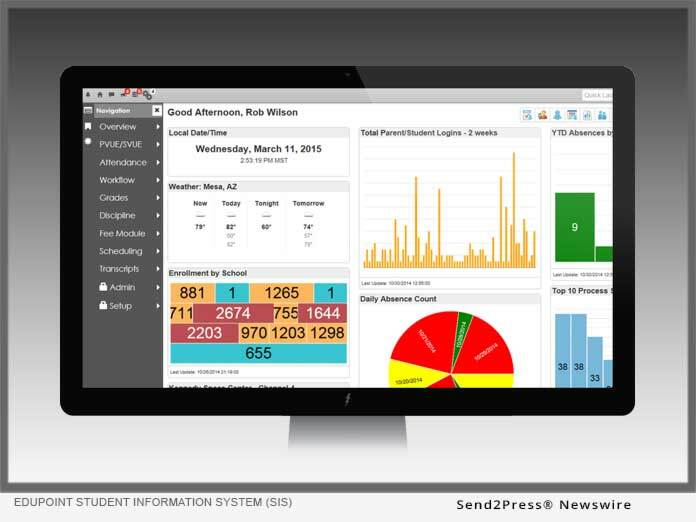 BURIEN, Wash., Feb 28, 2019 (SEND2PRESS NEWSWIRE) -- Highline Public Schools (HPS) has selected Edupoint(R) Educational Systems to implement the district's industry-leading Synergy(R) Education Platform for K-12 student information and learning management and assessment, replacing Illuminate SIS. The district's cloud-hosted Synergy solution will include Synergy Student Information System (SIS), Synergy Online Registration, and Synergy Response to Intervention (RTI/MTSS). HPS serves approximately 19,000 students across 32 schools near Seattle. With its selection of Synergy Education Platform, Highline Public Schools acquires a powerful and flexible ecosystem for student information and learning management, with an extensive SIS feature set, seamless online registration, a robust gradebook, MTSS management, rich parent and student portals, and eight role-based mobile apps that free up end users from their desks and allow them to view and enter data wherever they happen to be. In choosing Edupoint, the district gains a partner with a demonstrated history of successfully supporting state reporting in Washington school districts as well as a reputation for excellent support services. "Our current student information system will be discontinued in Washington at the end of this school year, so we reached out to similar-sized districts nearby to ask about their systems," said Mark Finstrom, Chief Technology Officer at HPS. "We wanted a full-featured SIS with reliable state reporting and a proven track record in Washington, and the feedback we got from districts using Synergy was that the system was working very well for them. After meeting with Edupoint and the one other vendor that could meet our state reporting requirements, and seeing comprehensive demos of what each product could do, we selected Synergy." "Highline Public Schools wasn't just looking for a great SIS with proven state reporting, but also a partner the district could count on for timely and responsive support," said Bob Weathers, Founder and CEO of Edupoint. "We look forward to a long and fruitful partnership supporting the district's current student data and learning management needs while growing together over time to ensure that new needs are met. We also extend our congratulations to Highline's superintendent, Dr. Susan Enfield, for her selection as the National School Foundations Association's 2018 National Superintendent of the Year."